Our plans for mother's day were foiled the moment it started pouring like crazy outside yesterday. Initially, we were supposed to pick up Mamita in Antipolo for dinner but as you know, it gets crazy flooded around the Cainta area and the visibility was really poor so we decided to reschedule instead. I was happily being lazy around the house in my pajamas and enjoying the cold weather and we decided to just order pizza in. Towards the evening though, the rain let up and Dennis decided to take me to my favorite little Italian restaurant instead. I needed something loose and roomy to make room for all the pasta I was planning to eat ,and eat we did. We feasted on spinach ravioli with a truffle cream sauce, fresh fettucini with a pomodoro basilico sauce, foccacia bread with dip,pizza napoletana, and I finally got my Gnocchi fix. I used to make Gnocchi at home but I get the kitchen really messy so I stopped. I have only had a total of five mother's days to celebrate but yesterday was the best by far thanks to my super awesome little family. I just love them to bits! 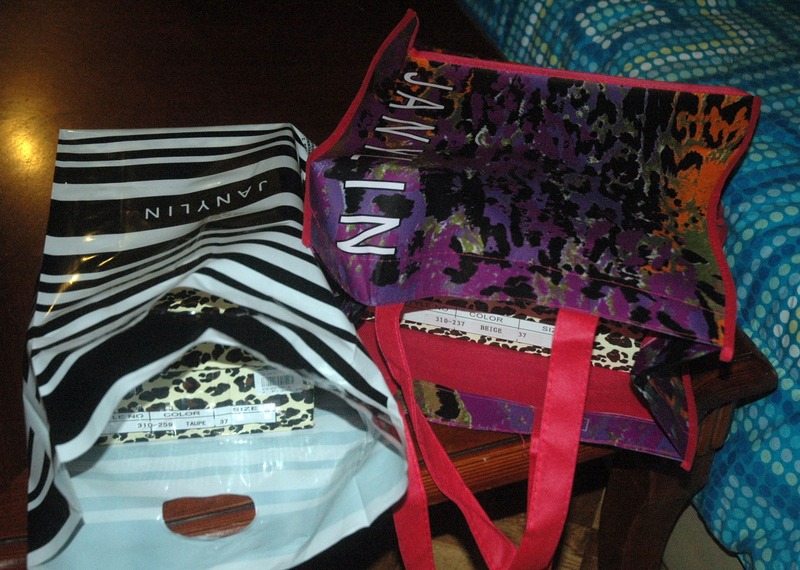 How'd you spend your mudra's day? Chuvaness has this giant inflatable slipper in her house, I wish Havaianas would send me one too. They're so cute! hahahaha... loose clothes for a nice feast! I just read "fresh fetuccini with pomodoro basilico sauce" and my mouth water instantly! One of my all time favorite dishes! If u like italian food, u should consider visiting Buenos Aires! There is a big italian legacy in this city and the food is DELICIOUS! Glad u had a great mommie's day! And of course, u looked beautiful as always! yum i love italian food! that is the best! i'm glad you had a good mommy day. i love the outfit, love the looseness hahah! you look gorgeous! i love your laidback style! I love your kimono robe! 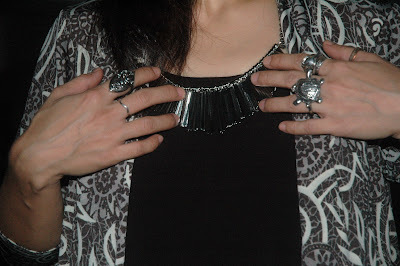 Thanks so much for your sweet comment on my blog - I appreciate it so much!! awesome kimono robe, looks like a really great find! new follower here. between i absolutely love eggplant too! new shoes again? oh my, im sooo jealous! now if only there's a daughter's day so i can have new shoes too. HAHA! happy mother's day! omg, i just read my sister liz comment. as if she doesn't demand for new shoes every month. anyhow, i would love to see what you bought in janylin and you just gave me an idea of wearing loose clothing when making room for food. i usually wear belts and anything that highlights the stomach to control food intake but what the hell! haha! 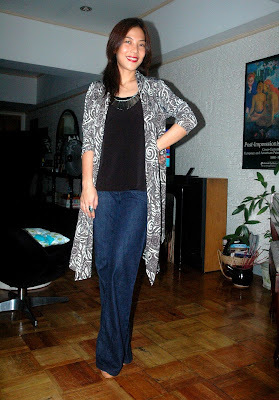 great kimono robe and love the wide leg jeans. looks so comfy and cute! Lovely! 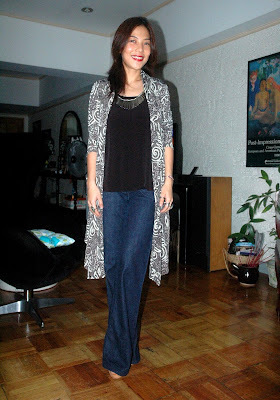 I recently fell for kimono jackets and wide-leg jeans are an all-time fave! looks like your mother's day turned out well (although i have no complaints about ordering pizza!). that havaianas event sounds so fun!! i want a mix n match pair!! love your Topshop wide-leg denims!!!!! Looks good on youuuu!! Love the look! Glad you had a fabulous Mother's Day! Gnocchi sounds so good- definitely one of my favorite Italian dishes! 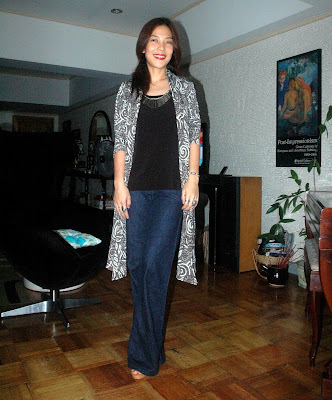 Love the long cardi and the trouser pants! So fabulous. My weekend was amazing and hope you had a lovely one too! Glad to hear you had a great Mother's Day weekend. Loving the necklace you're wearing. I wish I could pull off big bold pieces like that. It's fab! soo pretty as always! love this kimono robe!! what a great print.. im obsessed with kimonos with just about anything! I love it...the way you mixed prints is perfect. Great look. Really relaxed and lovely!!!! The robe is fabulous! I love the print.